Activity Type: Gastronomic tour in search of the best picadas of Coyhaique. Start: The picada of your choice. End: With a cup of coffee after a great meal. Distance: All of these picadas are located in the central sector of the city, in a radius of 8 blocks of the Plaza. Special Considerations: Picadas tend to fill up with locals during the 13:00 to 15:00, lunch “hour”. It’s advisable to go early. Reservations: The Restaurants do not require reservations and are generally open during the lunch hour (13:00 to 15:00) and for dinner (20:00 – 22:00). Picadas are sought after for their fair prices, the abundance of their dishes and their traditional homemade preparations. You can find them throughout the Region of Aysén, and in Coyhaique, we can assure that you that there are an abundance of picadas, brimming with great food and true regional identity. We’ll start with the legendary Casino de Bomberos (General Parra #365; (067) 2231437), chosen as the best picada of the region in a contest held by the National Council for Culture and the Arts in 2012. Specials of the house include steaks, fish, empanadas (hand-held pastries stuffed with meats of cheese), papas rellenas (same as empanadas but enveloped in potatoes) and pichangas (think of it as a Patagonian pupu platter). Service includes daily lunch specials and empanadas to go. Lito’s restaurant (Lautaro #147; (067) 2254528), is famous for its preparations of local beef, all year round, and seafood specialties, according to what’s in season. Don’t miss their pichangas and delicious pisco sours, accompanied by tortas fritas and house-recipe pebre sauce. You’d never guess such a great restaurant was hiding inside its humble exterior, and in addition to a charming atmosphere, the service is excellent and the owner is always nearby! In the Comedor Restaurant (12 de October #337; (067) 2210840), the rustic carvings, photos and decor transport you to a farmhouse dining room somewhere in the countryside of Aysén. The comfortable atmosphere makes the food even more tasty and authentic, featuring proprietary recipes for fish, seafood and regional meats, accompanied by garden fresh salads, tortas fritas and pebre. During the spring and early summer, the menu features various preparations of chiporro, which is young lamb, weighing between 12 and 14 kilos, when the meat is at its most tender. Don Luis, the owner, will even prepare a traditional lamb asado, with prior coordination. For those looking for the experience of sharing an authentic meal in a Patagonian house, the ideal place is El Mastique (Bilbao # 141; Contact: (09) 96824067). This Coyhaique mainstay has been open since 1995, and is renowned for big plates and authentic Chilean cuisine. Typical dishes include guatitas (a stew made with strips of the stomach of cows), charquican (a stew that features dried, roasted meats – and sometimes the meat is horse), Chilean beans, noodles with red sauce, cazuela, beef stew, and salmon, among others. 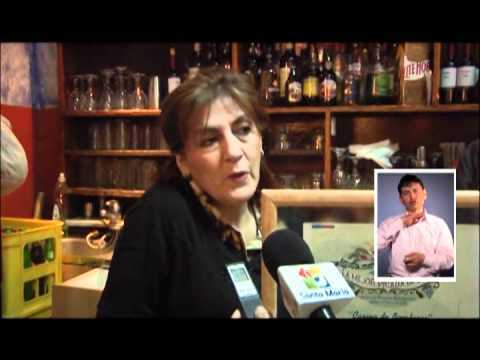 In 2011, Sercotec recognized the owner, Señora Carmen Hernandez,for her contributions to the conservation and celebration of traditional Chilean recipes. The Loberías de Chacabuco Restaurant is another traditional picada (Eusebio Lillo #366; (09) 82841296). Don Juan, the owner, learned the restaurant trade working for the classic Aysén Hotel in the years that Puerto Aysén was the capital of the region, sharing: “there we even served the President of the Republic”. When he moved to Coyhaique, he decided it was time to become independent and opened his own restaurant. He serves a variety of lunch specials but his true passion is seafood. We can definitely recommend the paila marina, the fried fish and, in season, puyes, jaibas (stone crabs) and (centollas) spider crabs. If you’re interested in eating with local farmers and gauchos, you’ll want to head to the Moneda de Oro (Arturo Prat #431; Contact: (067) 2233321). Here, you’ll dine with Ayseninos from all over the region who have ventured in from the farms for some sort of business in the capital. Of course, while they’re in town, they make it a point to enjoy the great food and service in their favorite picada. Bet you can guess the specialty of the house – meat and potatoes!! !